Why is the Kremlin supporting the Syrian Kurds, who are now complicating the reginal picture by pushing for federalization, and how will this affect Russian assistance to the Bashar al-Assad regime? In the Syrian conflict, which has lasted for more than five years, Moscow’s support for the Syrian Kurds has been a tactical instrument and is opportunistic in nature, with Russia remembering them mainly after the deterioration in its relations with Turkey in November 2015. Moscow understands that the Turks always react tempestuously to any issue related to the Kurds. For example, Russia’s initiative to open the (first in the world – RBTH) Syrian Kurd representative office in Moscow in the middle of February this year says that first and foremost Russia wishes to prick Turkey. They are also dependent on the Iraqi Kurds and on their organizations – primarily on the Kurdistan Democratic Party and on the clan of Iraqi Kurdistan’s president, Masoud Barzani. But at the same time, for Russia the Kurds’ fight against the extremists of Islamic State (ISIS) is very important. Among all the domestic political forces of Syria, the Kurds are crucial participants in the fight against the radical Islamists. Regarding the federalization of Syria, Moscow has found itself in a difficult position since both the Kurds and the Assad government are Russia’s allies. In such a situation Moscow, stuck between two sworn allies, will try to use the sleekest wording, since by and large Russia is indifferent about whether or not Syria will be federalized. The Syrian Kurds are now trying to strengthen the existing status quo. They have conquered territory but are not participants of the Geneva talks. 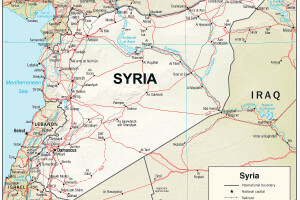 That is why they are trying to become a participant of Syria’s regulation process. Thus the demand for federalization.